I once started a thread about picky eaters. Several people replied that they would not eat onions until someone brought up fried onion rings. Into longer deep fry at home and haven't had them in quiet awhile. I asked if they had onion rings the last time I went out for Po boys at Tads south of katy. To me onion rings only come two ways. Good and better. These were as good as I've ever had. Where do you find great onions? A place for good onion rings is the Rocket Cafe in Robinson. Best I can remember was at Grumpy’s in Flatonia, but it’s been closed for years. Also good is Billy B’s Sale Barn Cafe in Groesbeck. Sonny Bryan’s in Irving used to have great onion rings, there bbq was never that good but the onion rings were great with their bbq sauce. They closed a while back though. Haven’t had any great onion rings in some time. You should have been here yesterday! MG's in Sherman has good onion rings. Murphy's in the little town of Winchester has the best I've ever eaten. Last edited by Buzzsaw; 04/14/19 02:39 AM. Back in the day, Popeyes had really good onion rings where there was actually some not over cooked onion under the batter. 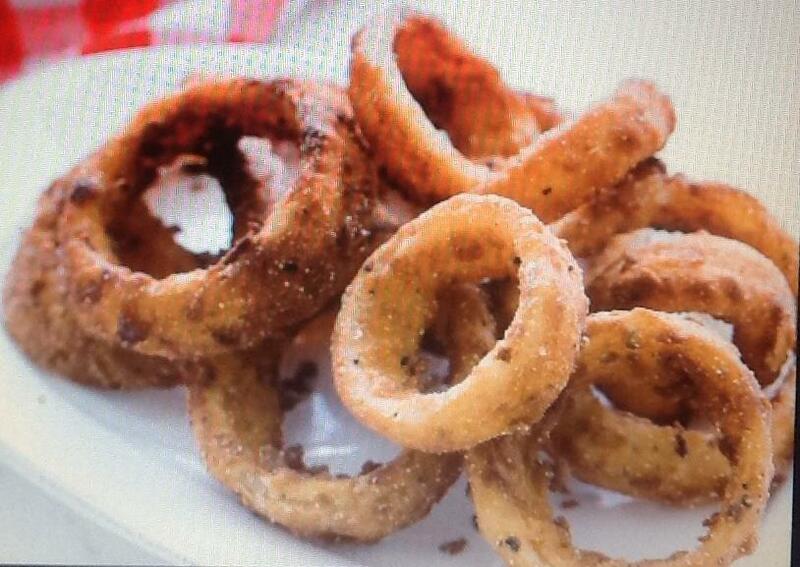 The Ranch in Las colinas and Reata in downtown Fort Worth have the best onion rings. Thick cut and crispy batter. I knife and fork job. The homemade ranch is the only way to go here. El Campo on lake worth used to. Miss that place. Best onion rings I ever had were Pennington's Drive In in Tulsa, OK. They were the onion string cut and flash fried. Excellent. I can make some good ones when I can get Vidalia onions. Chubby's Burger Shack on the Westside of Fort Worth, off of Camp Bowie and Cherry Lane are the best since my mama's. All we're really given is the sunshine and your name. The Smokehouse in Lindsay, Tx has excellent onion rings. Sometimes The Lumberyard in Roscoe, Tx can pull them off, others they are not good. Dieter Brothers in Lindsay also has good rings. I forgot about the smokehouse!!! The very best onion rings I've had were made by Happy Balthrop in Throckmorton at the Greyhound Drive-In. Both are gone now but I still judge all onion rings (and burger's for that matter) by Happy's. Last edited by Choctaw; 04/15/19 05:01 PM. Herman Sons in Hondo has good ones. Alamo Springs Cafe in Fredericksburg/Luckenbach area. The best onion rings and the best chicken fried steak sandwich I know of are both at Nell's Burgers. of Wal-Mart in the Livingston area.